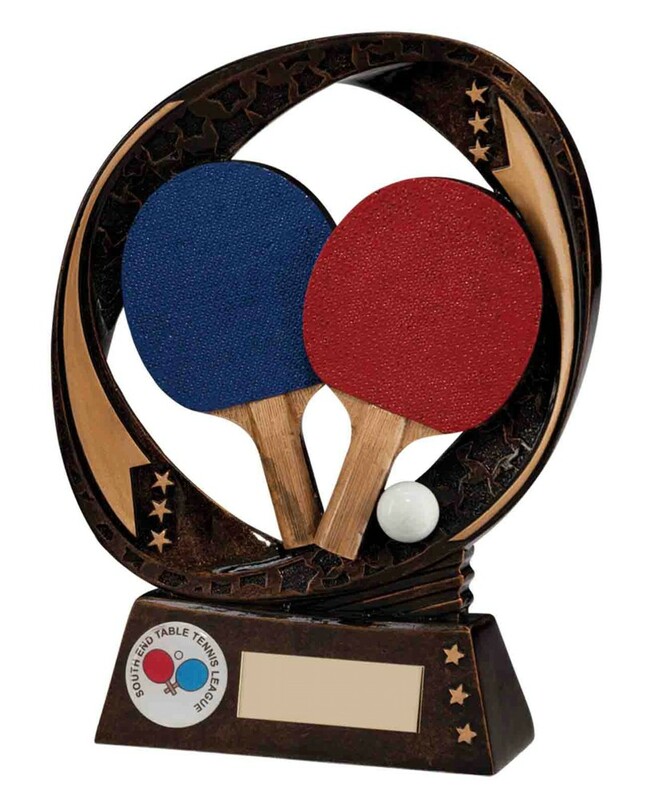 Resin Typhoon Table Tennis Trophies. Available in 2 sizes, 130mm and 170mm high. Antique bronze in colour with gold. red and blue detail. Perfectly crafted and well designed award.